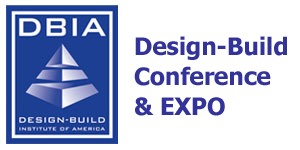 The Design-Build Institute of America is the only organization that defines, teaches and promotes best practices in design-build. Design-build is a collaborative approach to project delivery that integrates design and construction with a single-point of responsibility contract. For two decades, design-build practitioners, specialty contractors, and public and private owners have gathered annually for the Design-Build Conference and Expo, the largest gathering of the year for the design-build market and the only event centered exclusively on design-build. The Design-Build Conference and Expo includes attendees and exhibitors from across all design and construction sectors.